Thank you to Talking Books & Meradeth Houston for championing these two fine men! Readers like investing in a good book. A book that entices readers into its vortex and has us falling over our feet for its heroes right from the start! The kind of hero that has brains, is alpha-strong when required, reliable, dependable and equipped with a heart of gold. The one character hero that is a stand-out for historical romance fiction that comes to mind, who fills all of those character traits in spades and who stands tall on his own with his own special kind of magic would be Drake, The Duke of Manchester of the famed novel The Duke’s Quandary by Callie Hutton, which is part of the Marriage Mart and Mayhem series. Callie who wrote Drake’s character, created a masterfully outstanding specimen of a man character in a story that had readers rapt in him as a hero. A hero who make us readers swoon, drool and melt into a puddle from one page to the next. Whether it be Drake who welcomes Miss Penelope Clayton – a terrified, socially awkward botanist in her coming out year celebration or rescuing Penelope’s reputation when called for as well as looking after his family and friends. Breaking tradition and supporting Penelope in her endeavours to change stuffy ton rules and supporting her frowned upon career. Drake ticks all of those boxes in The Dukes Quandary. He is strong, reliable, independent, comical, full of good humour and has a heart of gold. Constantly having us in stitches with his interactions alongside Penelope and their steamy encounters send the sizzle factor through the roof and who has us swooning with his unwavering support of Penelope. 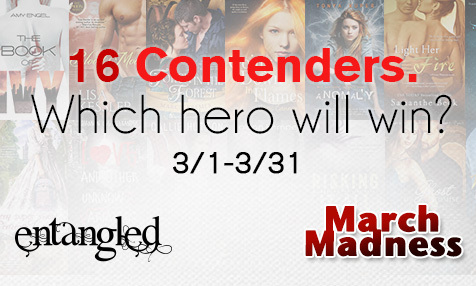 If Drake is your stand out character vote for him in Entangled Publishing’s March Madness Hero! 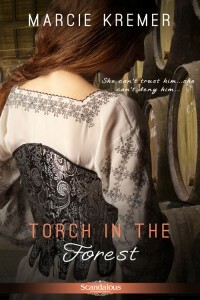 It’s my distinct pleasure to host the amazing Marcie Kremer’s hottie from Torch in the Forest today! Seriously, you *need* to go vote for Lord Hugh!! If you’re like most women (and, if you’re reading this blog, you probably are ☺), sometimes there is nothing more satisfying than to be able to prove a man wrong! It’s especially fun to prove a man wrong when he is arrogant, condescending, and thinks you are a complete ninny. But, what is the fun in that? you might ask, because if he is such a jerk, why should you care? Ah, but here is the secret….Lord Hugh, whose blue eyes could pierce you through, truly has a soft heart underneath all that hard-earned shell, and he would honestly like nothing better than to find a woman he can trust and love with all his heart. Will he admit that, however? I don’t think so! 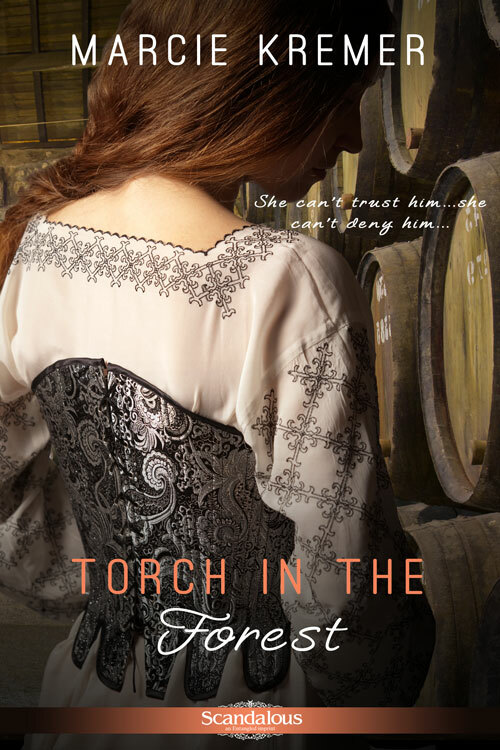 In Marcie Kremer’s historical romance, TORCH IN THE FOREST, Lady Eleanor has a task—she must prove herself capable of managing her forest lands and prove herself a worthy opponent for Lord Hugh, who won’t give her the time of day. He doesn’t believe there is a single woman in England whom he could trust or respect. When Eleanor realizes she is hopelessly attracted to a haughty Lord Hugh, who treats her with disrespect, she must find a way to convince him that he is wrong. To be able to turn a strong man around and force him to acknowledge his softer side is a challenge worthy of Eleanor’s keen wit and intelligence. Whether Lord Hugh is fighting in the Crusades, riding to hounds, or facing down a local lord, he is a fearsome opponent. If you’d like to know how Eleanor deals with Lord Hugh, he of the intense blue gaze that sets her pulse racing, you’ll need to read this intriguing book. In the meantime, why not find a man of your own you can prove wrong? NOW TO VOTE FOR LORD HUGH! !